Bow ties are back for fall in new fabrics, shapes, and colors! Girls- give your outfit a chic menswear edge with a black bow tie. 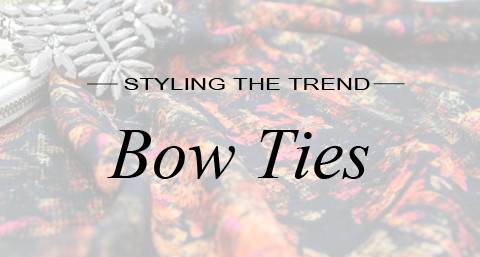 Guys- bring some color into your wardrobe with a bright printed bow tie. An easy piece to throw over any button up shirt, bow ties will bring your outfit to a new level of effortless, classic style. Try this trend out this season with some of LookMazing’s favorite picks!